I have spent recent years hating olives. I remember liking them a long time ago. I have memories of taco nights when we were younger. My sister and I would drain cans of black pitted olives and stick them on our finger tips. We'd prance around being fancy, pointing to things for the mere reason of showing our gaudy olive fingertips, like they were big acrylic nails. We got to snacking them off long before tacos were finished. I know those aren't olives in their most natural state, but I don't know when I decided to dislike them. I always order to leave them off a dish at a restaurant, would never touch them on a cheese plate and surely have never purchased a jar until recently. They just have such a strong flavor, and I am one for sweet over salty, so things like olives and chips are not foods I crave. And no, it was not a gradual warming up to them at all, as I suppose happens when people grow out of their food aversions. One day I was so famished for lunch that when I got a salad with olives in it, my hunger would not cease at my pickiness. I ate them because I was too hungry not to, and the rest is history. 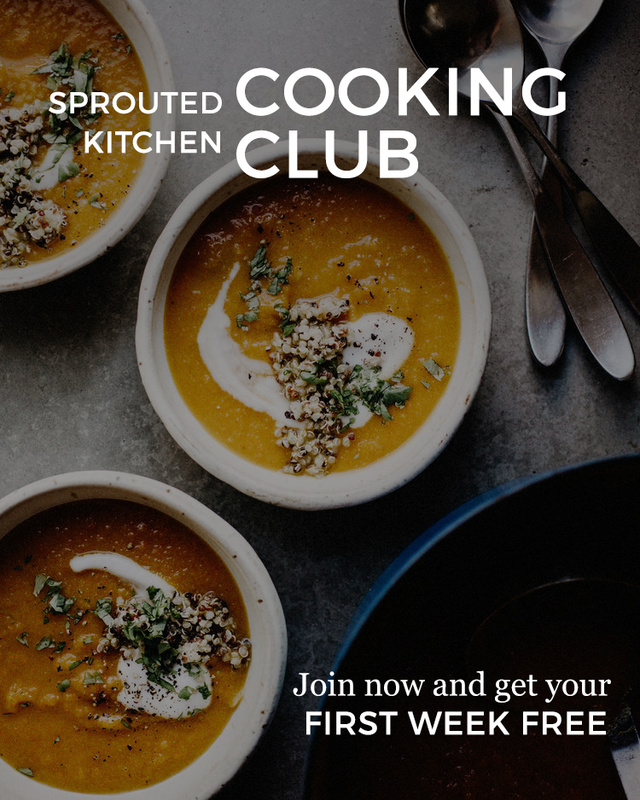 I am not going to go as far to say I love them or anything, but there isn't a single recipe on this site that has an olive in it, so for those of you who are big fans, this is there official inaguration into the sprouted kitchen. A peace offering of a very simple and lovely kale salad. I have a few tips for the kale haters in your life. I mentioned them at a cooking class recently, so best I document them here as well. First off, you must remove the tough stem. Don't just go chopping the entire leaf up. The stems have a very tough texture and are quite bitter, so cut out the stem and stick with the leaves. If you purchase a bag of the pre-chopped stuff, take a few minutes to pull out the stem chunks. It is worth it. If you can't do full raw kale salads, cut a salad with half of a more tender lettuce. Hugh isn't the biggest fan, so our green salads are often times half well chopped kale and half baby lettuces or butter lettuce or romaine. 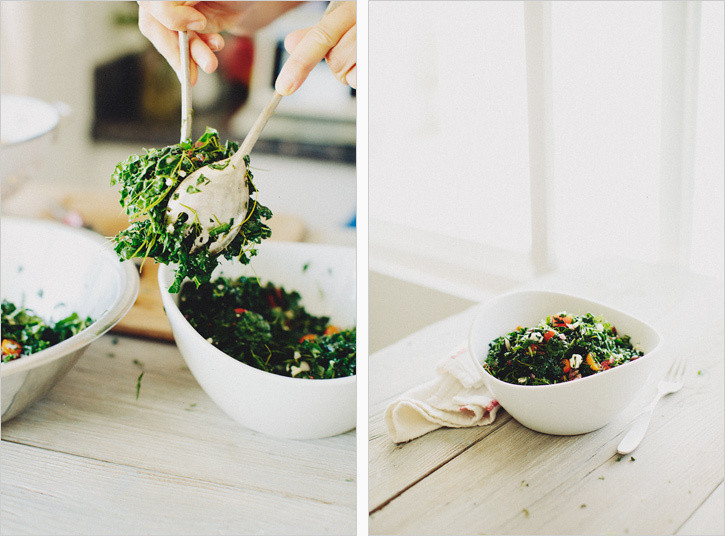 For this recipe, I chopped the kale up so small you could eat this salad with a soup spoon. 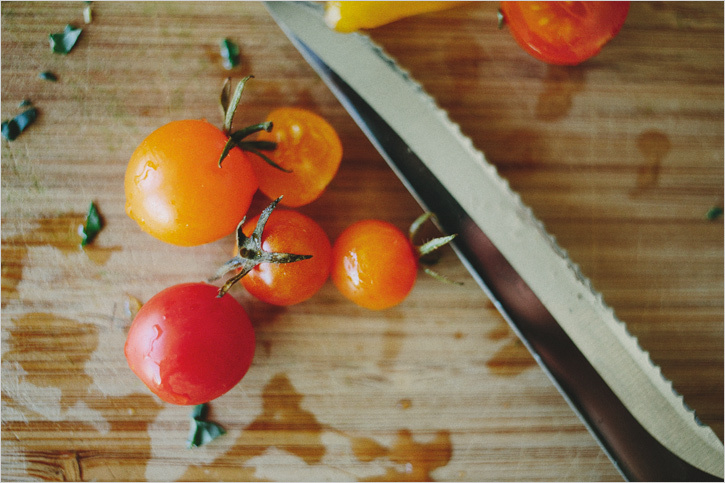 The tiny bits are more tender in your mouth and mix well with the other salad goodies, so chop away for small pieces. When all of that fails in the way of raw kale, having it cooked and mixed into an enchilada filling, vegetable egg scramble, soup, etc. doesn't seem to elicit as harsh a reaction. Pull or cut the kale away from the stems. Work in batches and slice them into thin ribbons (alternatively, just go at it with a chop to get teesy pieces). Put the kale in a large salad bowl. Drizzle in 1 Tbsp. of the oil, salt, pepper and roughly rip up the dill/mint with your hands and add that in too. 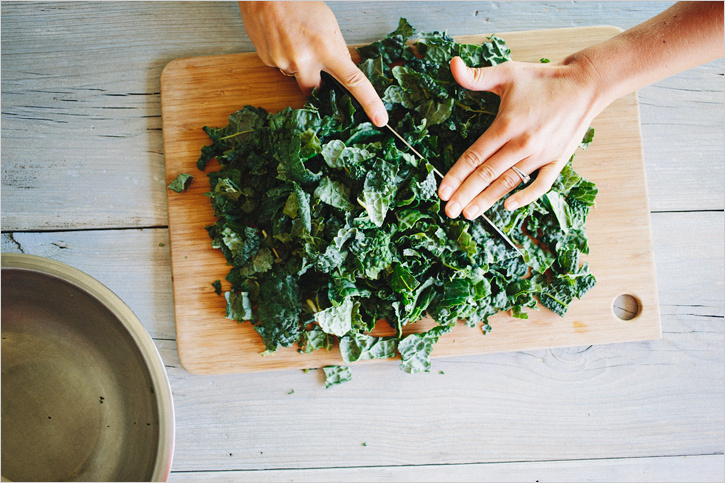 Massage the kale with your hands to soften the leaves until they glisten. In a small dish, mix together the remaining oil, vinegar, mustard and red pepper flakes to combine. Pour it over the kale and toss to coat. Crumble in the feta, add the tomatoes, olives and red onion and toss again. Add more of whatever you wish to taste. Because kale is pretty sturdy, I find this salad can keep covered in the fridge for a day or two. Totally worth making a double batch.